"1415 N Dearborn is located towards the North end of the Gold Coast, great for those looking for quick access to Lincoln Park just a short walk away. Affordable price points, but higher assessments (over $1,000 for 2 bed / 2 bath units)." 1415 N Dearborn is located on a picturesque stretch of Dearborn just a block and half from Lincoln Park. The units are affordable with 2 bedrooms in the $300s. 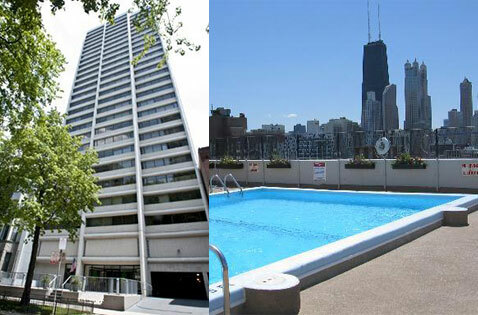 Building amenities at 1415 N Dearborn include doorman service, a rooftop pool deck and community bbq area. 1415 North Dearborn offers on-site rental parking and only cats are allowed as pets.